When you think of "Nintendo", you think of plumbers. You think of princesses. You think of fluffy clouds and lush green grass. You do not think of 13 year-olds waiting to pop caps in you. Here's how Nintendo honcho Satoru Iwata explained it to The Independent: "...we also have titles like Mario Kart that are heavily reliant on online and support online multiplayer. But you shouldn't be expecting Call of Duty-like games to be offered from Nintendo." Continuing, Iwata added that Nintendo was more than happy to have developers who make those types of games put them on Nintendo's game consoles. But as we move into the next generation, it sounds like the Wii U will not be able to take straight ports—that the games will have be tweaked from the versions appearing on rival platforms. That makes sense. Again, here's Iwata: "I think that the Wii U will be powerful enough to run very high spec games but the architecture is obviously different than other consoles so there is a need to do some tuning if you really want to max out the performance." "We're not going to deliver a system that has so much horsepower that no matter what you put on there it will run beautifully," he continued, "and also, because we're selling the system with the GamePad—which adds extra cost to the package—we don't want to inflate the cost of each unit by putting in excessive CPU power." 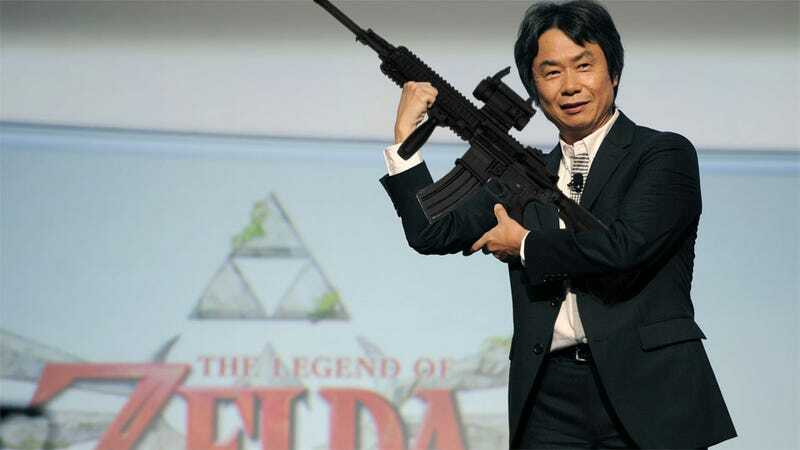 In short: No Nintendo CoD clones (sorry Miyamoto (above)! ); the Wii U is different from other machines; the Wii U won't be able to run everything, because that—coupled with the Wii U tablet controller—would make the console very expensive. Okay, got it! Thanks!